For the past several years cloud storage has been dominated by three main players, Amazon, Google and Microsoft, offering relatively comparable services and solutions. Armed with revolutionary technology and an egalitarian philosophy, Wasabi is transforming what cloud storage can be and do. 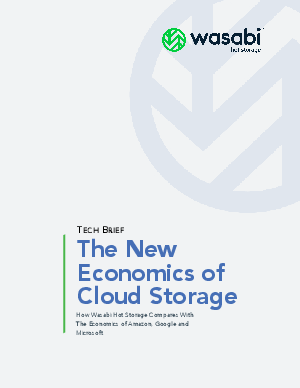 In this white paper we focus on cloud storage pricing comparing the economics of Wasabi versus the leading cloud storage options.